In melanoma classification tasks, a deep learning algorithm performed similar to dermatologists. Using data from nearly 130,000 medical images of skin diseases, the study authors developed a neural-network artificial-intelligence deep learning algorithm that can recognize subtle visual cues of malignancy. They compared the algorithm’s performance and that of 21 board-certified dermatologists for 3 diagnostic tasks: melanoma classification, carcinoma classification, and dermoscopic melanoma classification. The algorithm matched the dermatologists’ performance in all 3 tasks. 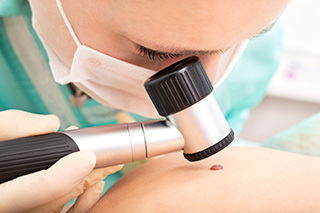 Dermatologists’ clinical interpretations include factors “beyond visual and dermoscopic inspection” of skin lesions, the authors were quick to acknowledge. But the algorithm’s ability to classify lesion images “with the accuracy of a board-certified dermatologist has the potential to profoundly expand access to vital medical care,” they concluded. Similar computer deep-learning visual-recognition algorithms have been shown in other settings to outperform humans, the authors noted.